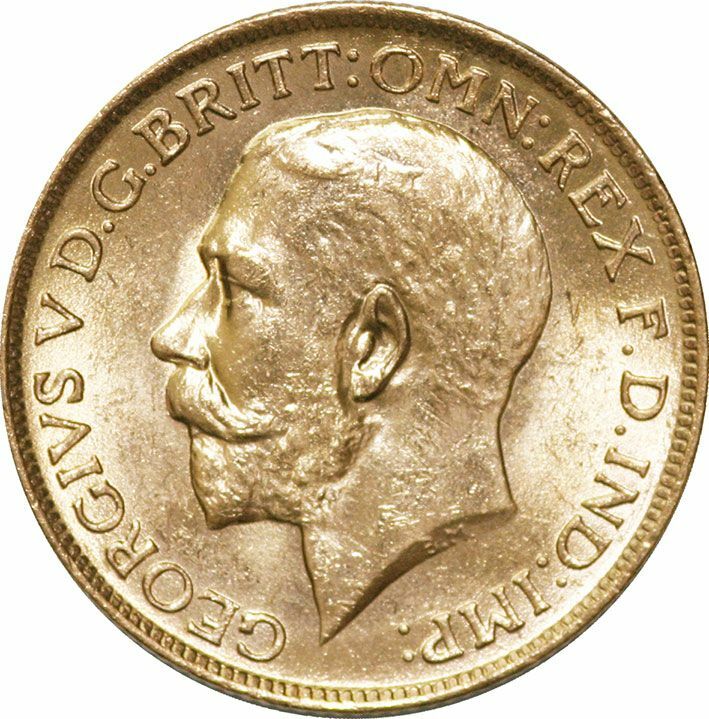 George V Sovereigns were first issued in 1911. With the onslaught of war the Government asked the public not to use sovereigns or to demand gold in payment. Instead they started to issue treasury notes to the value of Â£1 and 10s. as the currency remained stable and the notes soon won acceptance and eventually gold transactions became a thing of the past. 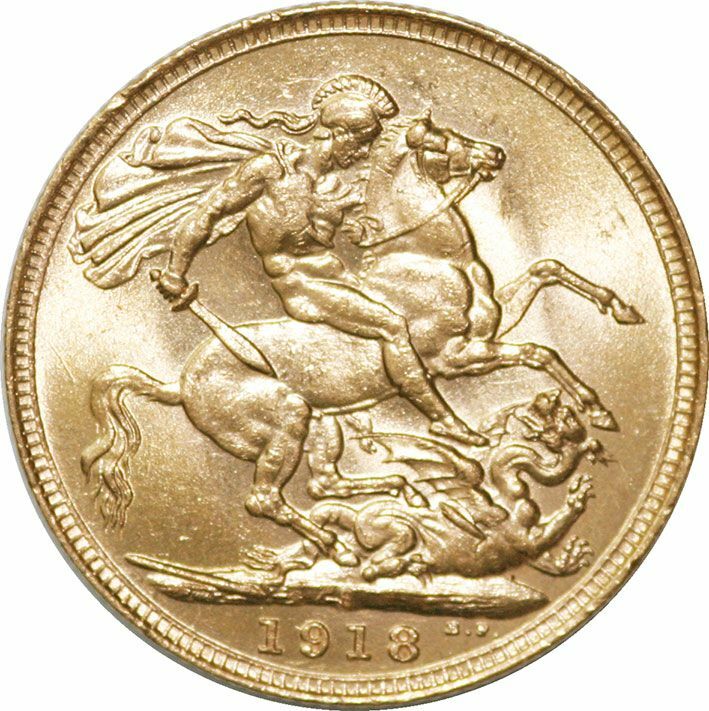 However millions of sovereigns were still being struck but became part of the gold reserve held by the Bank of England.